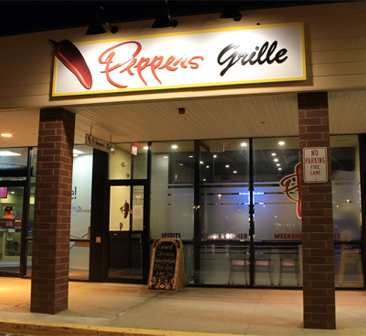 At Peppers Grille we pride ourselves in serving delicious Home Cooked food. Come in and relax at our Full Bar and choose from a variety of appetizers or a thirst quenching Custom Craft Cocktail. Peppers Grille Lunch Menu offers Gourmet Signature Sandwiches, Panini's, Fresh Soups, and much more! We offer an Excellent Dinner Menu featuring but not limited to Signature Pasta Dishes, Fresh Seafood, Mouth Watering Burgers and Authentic Brick Oven Thin Crust Pizzas made from ingredients Imported from Italy. Breakfast is served Saturday and Sunday mornings! Please note we will be closed all day on Sunday, April 21st for Easter. Call ahead for Curbside Pickup!